Add this powder to your wicks for gold sparkly trails! 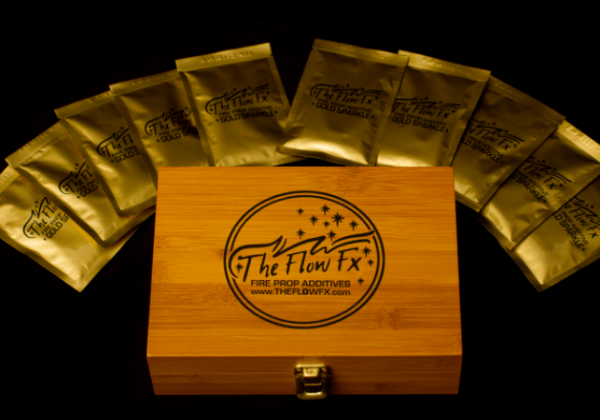 Gold flow has a clean consistent gold sparkling effect. It has a predictable start, middle, and end. Rise – peak – fall. Not over powering, very versatile on a wide range of props with a variety of styles of performance. Easy to apply – the powder soaks up excess fuel, creates an adhesive paste that clings to the wick. Made and designed by a special effects technician to ensure the best effects for your performance. The entire packet of powder is applied firmly and evenly to the entire wick surface. 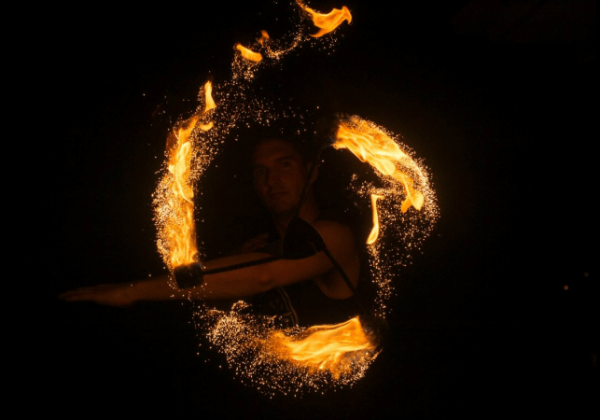 Each packet will coat a single large size pair of poi/staff ends, or several smaller wicks, such as a dragonstaff, fire fans, double staff etc. 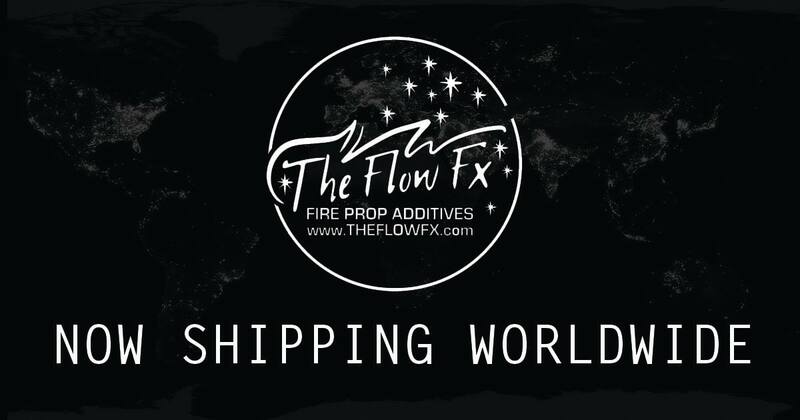 Gold Flow is legitimately the best simple flame effect I’ve seen, soak your wicks, rub it in and go. Absolutely gorgeous, super safe and incredibly well developed product. Massive recommendation to anyone performing professionally, or even just to wow your friends. Brilliant. So fun to use, and even with the large flame of a sword, it felt very safe. 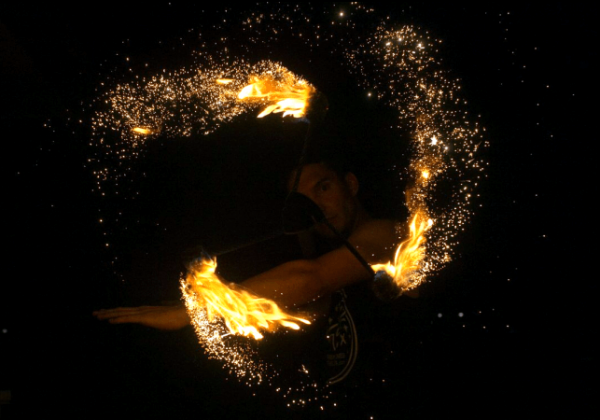 I loved using the Gold Flow in my fire show! I was really impressed by the magic look of the product, it was constant but not overbearing. Like our page and follow us on facebook to keep up to date with progress!